Celebrate and explore the beauty of the region surrounding the iconic Tacoma Narrows Bridge! 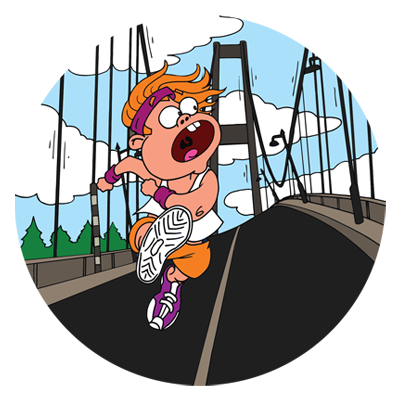 Accompany Lenny on the 5k, 10k, or Half Marathon course from the Tacoma Narrows airport through some of the most spectacular views the area has to offer. Enjoy these challenges and rewards knowing you're supporting some great local causes including the Mary Bridge Children's Hospital, Children's Home Society, Communities in School, and FoodBackpacks4Kids. The Rotary Club of Gig Harbor North proudly supports these charities by hosting this event for the 8th straight year!